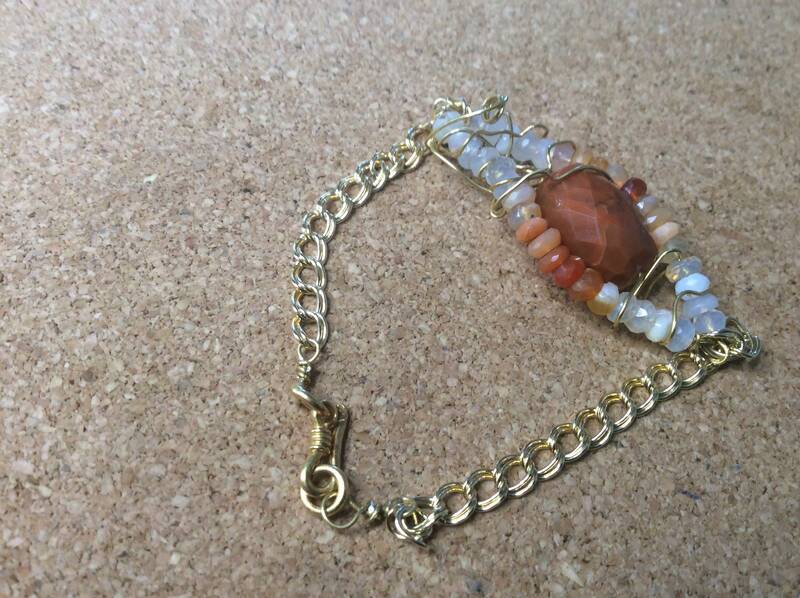 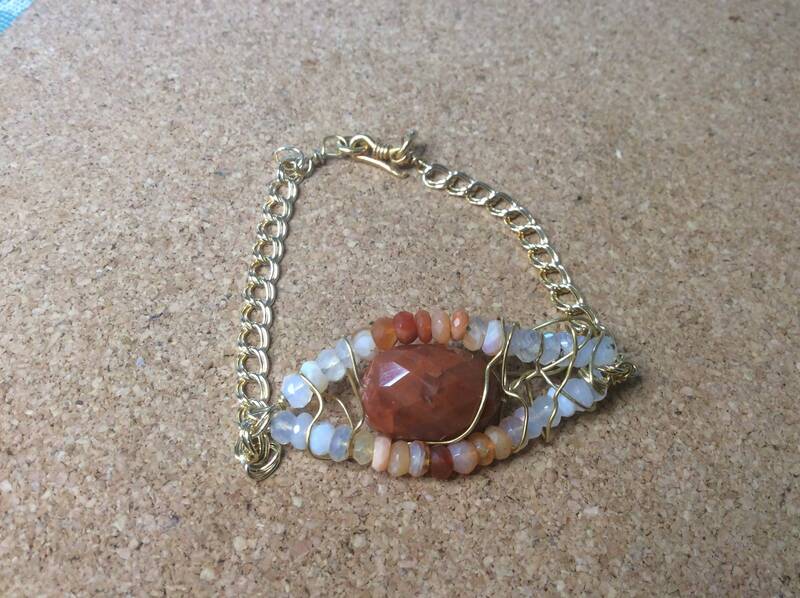 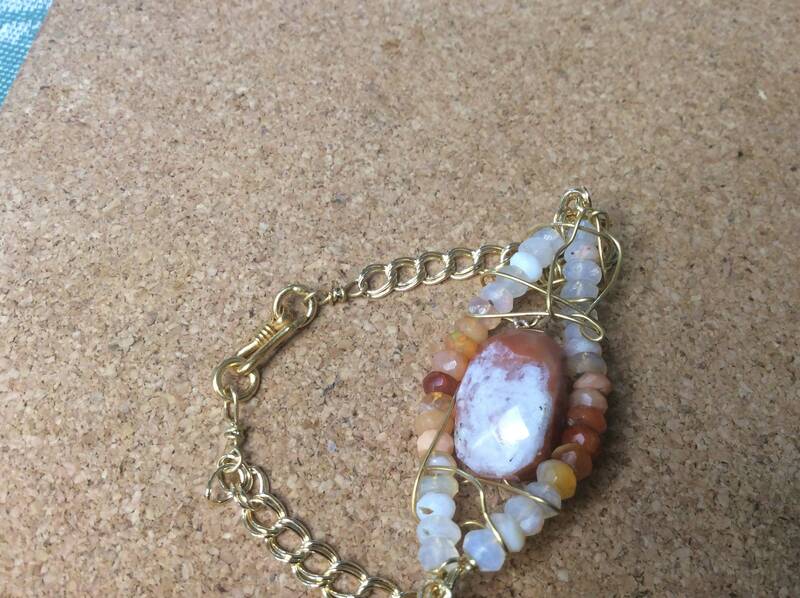 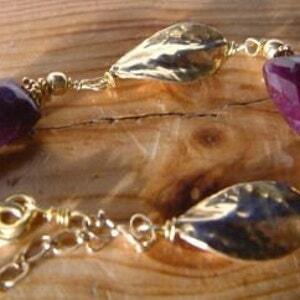 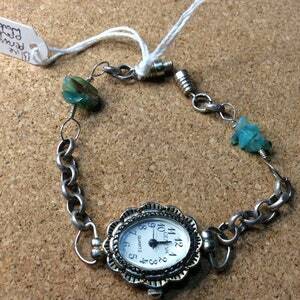 A wire wrapped bracelet made with Mexican fire opals. 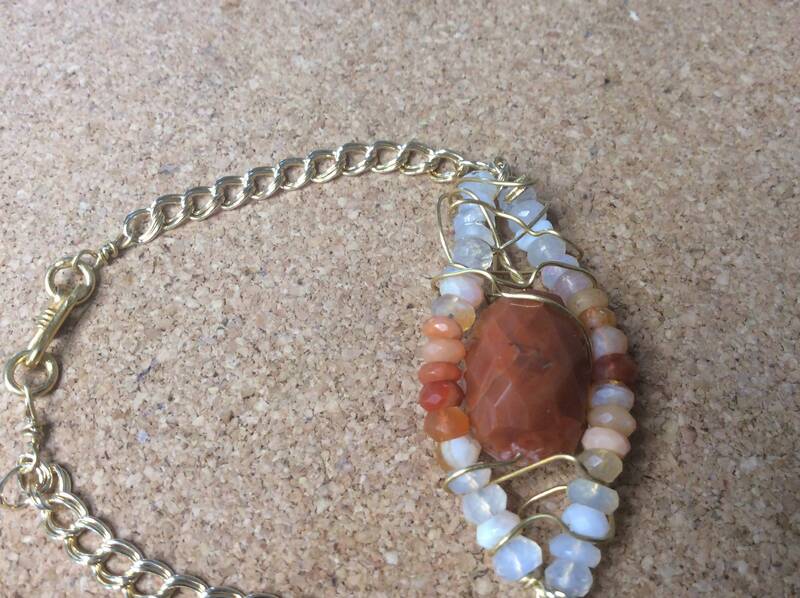 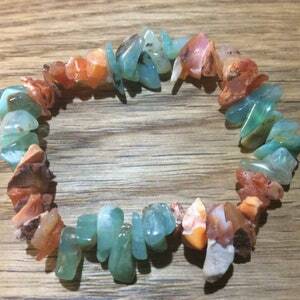 Small faceted ones approx 3 to 5 mm in size and a larger chunk of orange fire opal for the middle. 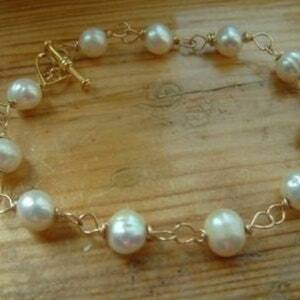 The chain and wire is gold vermeil which is real gold over sterling silver, and some Thai Karen gold vermeil which is gold on the top of 999 silver. 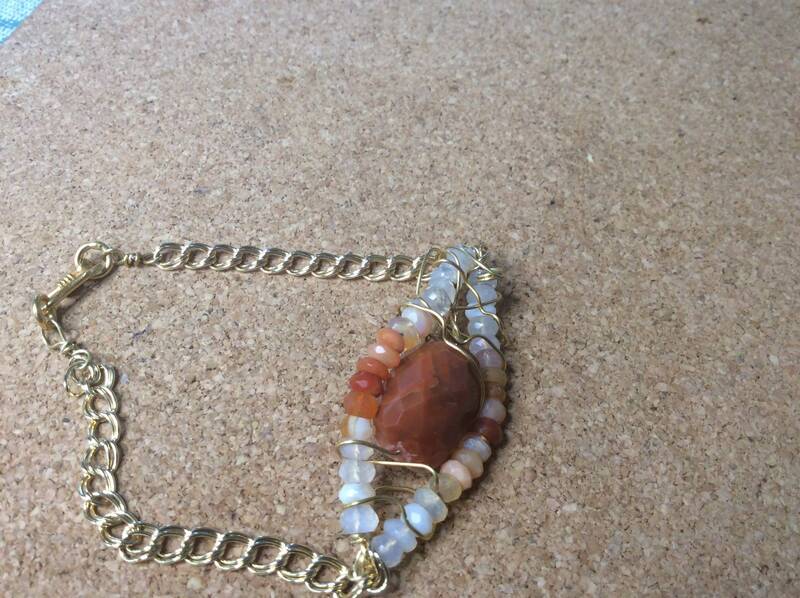 I have many opal earrings and necklaces in my 2 etsy shops.